Preorder signed copies of Bones Of The Lost today! Available internationally from the Poisoned Pen. Bestseller Reichs draws on her experiences touring with the USO in Afghanistan for her captivating 16th novel featuring forensic anthropologist Temperance Brennan (after 2-12’s Bones Are Forever). At home in Charlotte, N.C., the bone expert concludes that the death of an unidentified girl, 14 or 15 years old, was caused by foul play rather than a hit-and-run, as was previously suspected. The outraged Brennan urges homicide detective Erskine “Skinny” Slidell to investigate, knowing Slidell believes the girl to have been an undocumented immigrant, as well as possibly being a junkie and prostitute. Later in Afghanistan, Brennan oversees the exhumation of two unarmed Afghan villagers killed by a U.S. Marine to determine whether the victims were shot in the back or head-on. 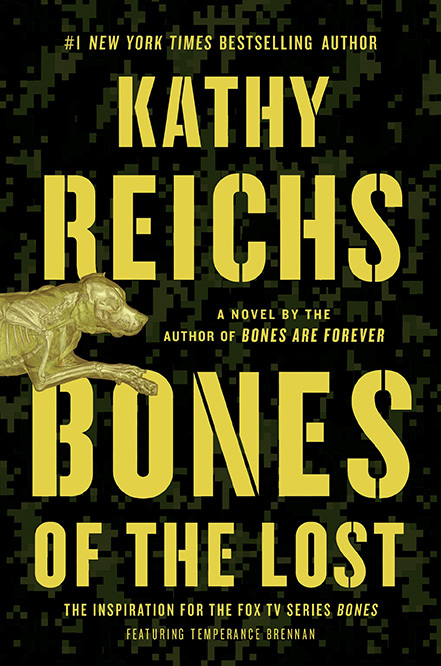 The two cases—and a third involving mummified dogs from Peru—give Reichs ample opportunity to provide detailed descriptions of forensic examinations, but it’s Brennan’s passionate and personal involvement that provides the excitement in this masterful tale. 6-city author tour.